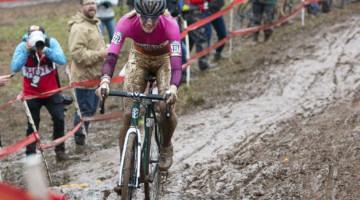 UCI Cyclocross World Championships to Fayetteville, Arkansas in 2022? 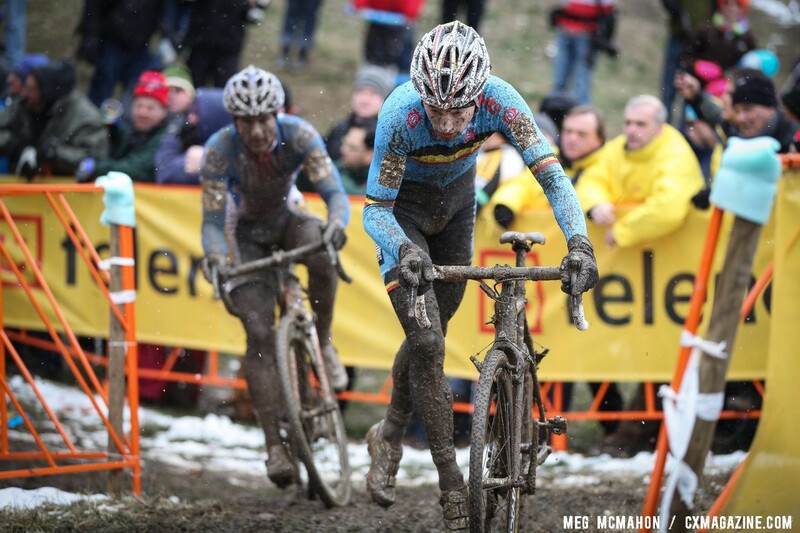 Is the UCI Cyclocross World Championships coming to Fayetteville, Arkansas in 2022? If you judge a rumor by the number of tips we get, perhaps it is true. 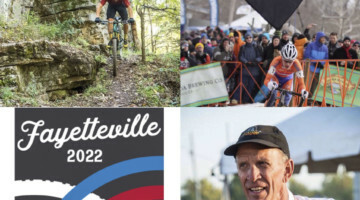 No less than five different people have sent us a tip about the rumor of Fayetteville 2022 Cyclocross Worlds—a rumor that we expect we will either be able to confirm or refute as early as Friday morning. Update: UCI confirmed the rumor, and also announced the 2023 Worlds is heading back to Hoogerheide, the Netherlands, for the third time in 14 years. 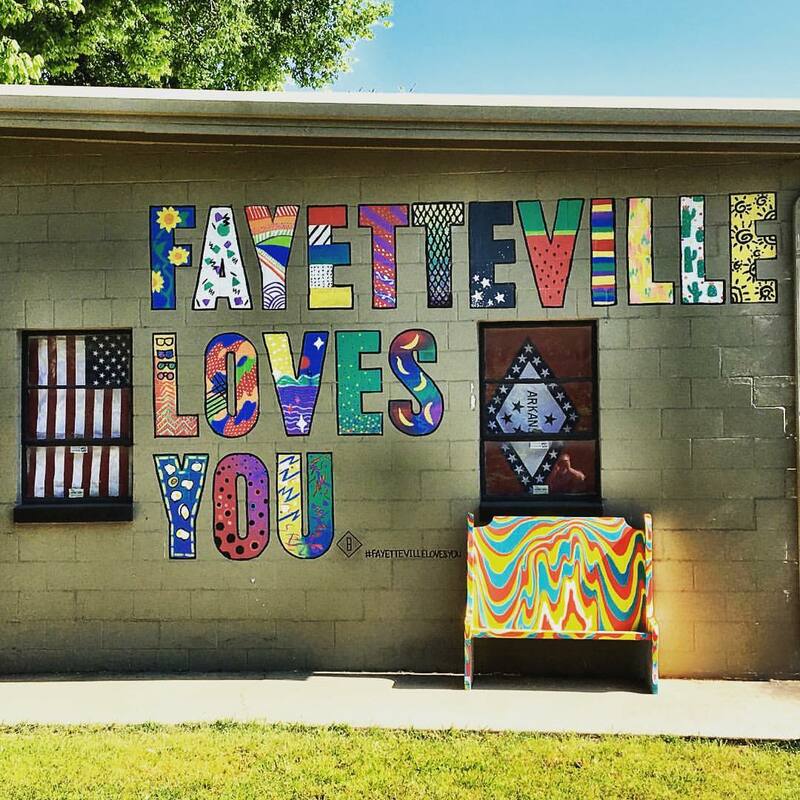 Fayetteville, Arkansas, not to be confused with the larger city in North Carolina or smaller city in Georgia by the same name, is Arkansas’ third largest city, with a population of around 85,000. The city sits in the Northwest Arkansas region (NWA) and is known for housing the University of Arkansas. The region also gave birth to the $278 billion corporate behemoth, Walmart. 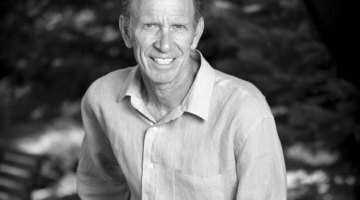 One result of the wealth generation by the Walmart corporation is that the Walton Family Foundation and the Walton heirs have done quite a bit for cycling in the area and in the state. 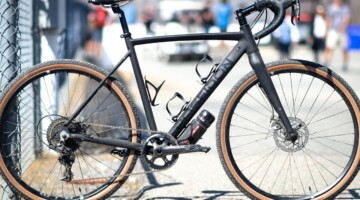 The foundation has spent millions on local trails, made a big push for urban singletrack, and fronted the money with grants and loans to the city of Fayetteville to take over ownership of Millsaps Mountain, the venue we predict will host the 2022 Cyclocross World Championships. The 238-acre Millsaps Mountain, also called Mountain Ranch, was the venue for this past November’s OZ Cross, and will be a future home for miles of singletrack. 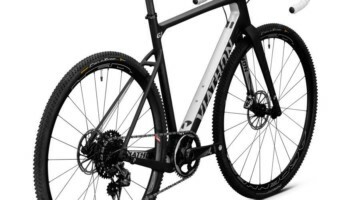 While Fayetteville may not yet have a place in the minds of the average cycling enthusiast, surely the Walmart money does. 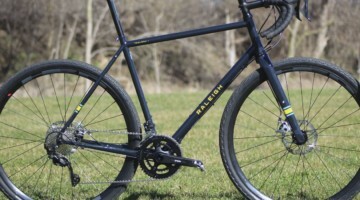 RZC Investments, run by Steuart and Tom Walton, grandsons of the Walmart founder, have investments in domestic carbon frame builder Allied Cycle Works (soon to move to Fayetteville) and a controlling interest in Rapha. 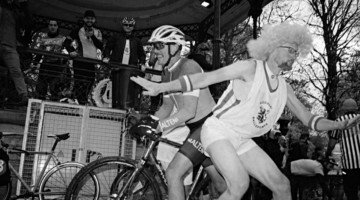 Now the city might just become as famous as Louisville in the eyes of cyclocross fans abroad. 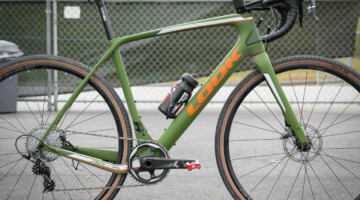 While Fayetteville, Arkansas does not yet have a single UCI Cyclocross race in its history books, the groundwork has been set months ago for this to happen. 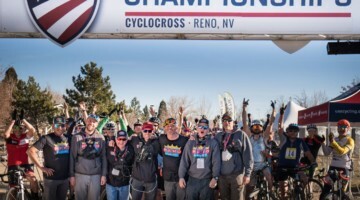 The OZ Cross event, held last November in Arkansas, was just one of four events on the 2018 USA Cycling American Cyclocross Calendar (ACXC). 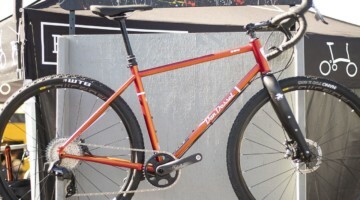 Inclusion on the ACXC is a prerequisite to becoming a UCI event. Events had to apply by December 1, 2017. 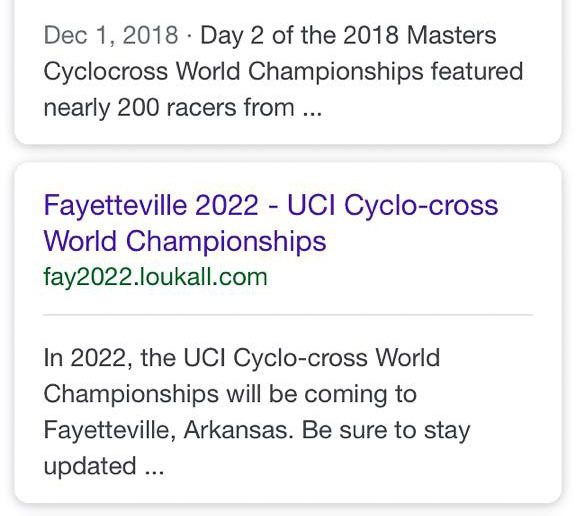 It would be a safe bet that, if the Worlds rumor is true, Fayetteville will have at least a UCI C2 weekend in the fall of 2019 as it builds towards a World Championship. A World Cup in 2020 might even be a possibility if the event was to follow the path that Bogense, Denmark took. 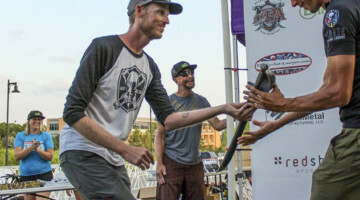 Last August, the ozarkcyclingadventures.com website dropped another hint in its post titled, “What’s Up With All The NEW Cyclocross Events In NWA? 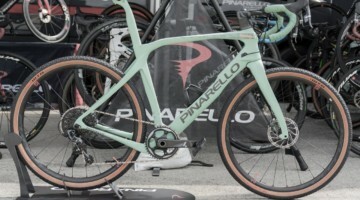 Pulling a Belgian’s name out of the local Boston mountain range’s air might seem like a random choice, but perhaps the name of the current World Champ suggested someone was in the know of international racers eventually heading towards Fayetteville. But as the website said, who knows? 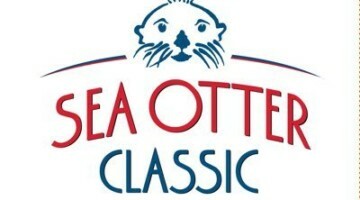 Then, the two-day OZ Cross event got serious, partnering with Brook Watts as race director and course designer. 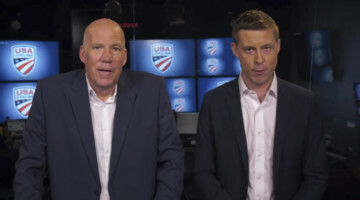 Watts, the director of World Cup Waterloo and CrossVegas (now RenoCross under Coby Rowe), certainly knows his way around the inner workings of the UCI and USA Cycling. Perhaps Watts was involved since day one. 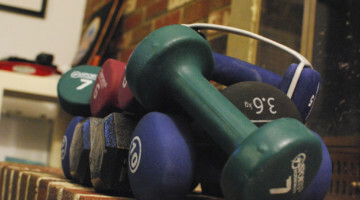 We’ve reached out to Watts for comment but have not yet received a reply. While finding a paper trail in this digital age is difficult, we certainly found a pixel trail that has led us to believe the region at least submitted a Worlds bid and a very formal presentation to the UCI, complete with logos and a mocked-up website. Web designer Luke Hall looks like he was involved in the project, and as of yesterday, had visible mockups of a Fayetteville 2022 website and logo on his site. Although we had already received our first tip, screenshots started to arrive in our inboxes showcasing proof of something in the works. Screenshots started to arrive in our inbox, while veldritkrant.be posted a story and this image about the potential event. Soon, web caches were cleared, pages were removed, but proof of at least a plan, if not the actual award, was already circulating. 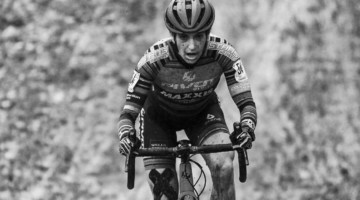 Cyclocross fans and racers, especially those from abroad, might be curious about possible Fayetteville, Arkansas weather and course conditions. While local soil and terrain are big factors, we can tell you a bit about the expected weather in Fayetteville. 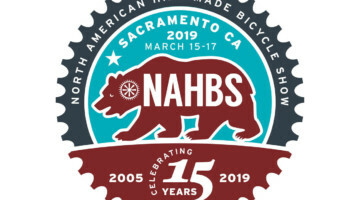 For better or worse, it’s not much different than Louisville, host of the 2013 Cyclocross World Championships, and more recently, the mudfest of the 2018 V2 Cyclocross National Championships. The good news is that Millsaps Mountain does not appear to be on the shores of a major river that could flood. 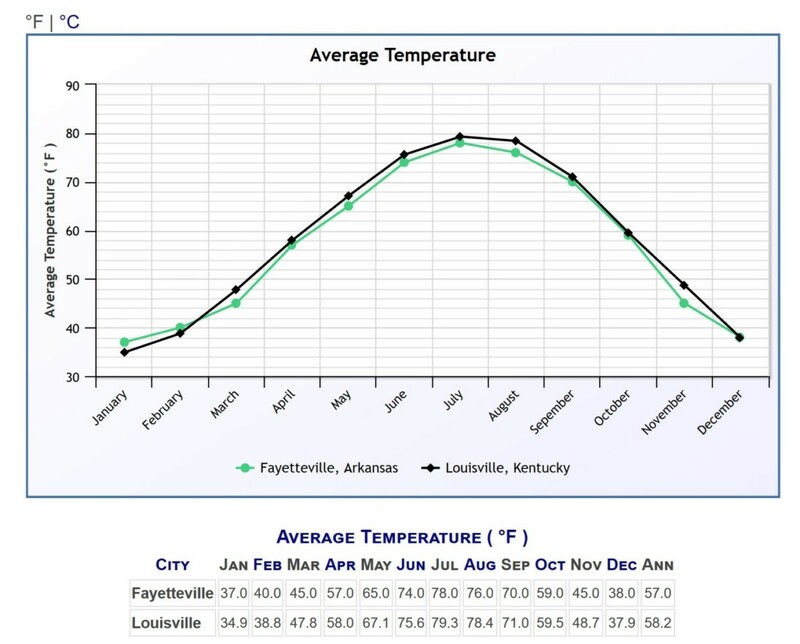 Louisville and Fayetteville feature similar temperatures throughout the year. Both cities have lows of 26 degrees in January. The average temperatures in January and February are similar, with the lows nearly identical, at around 26°F degrees. Precipitation is similar too, at around 45 inches of rain a year (44.9 inches for Louisville, Fayetteville at 45.5). Fayetteville is a bit drier in January and wetter in February than Louisville, but the weather is quite similar. 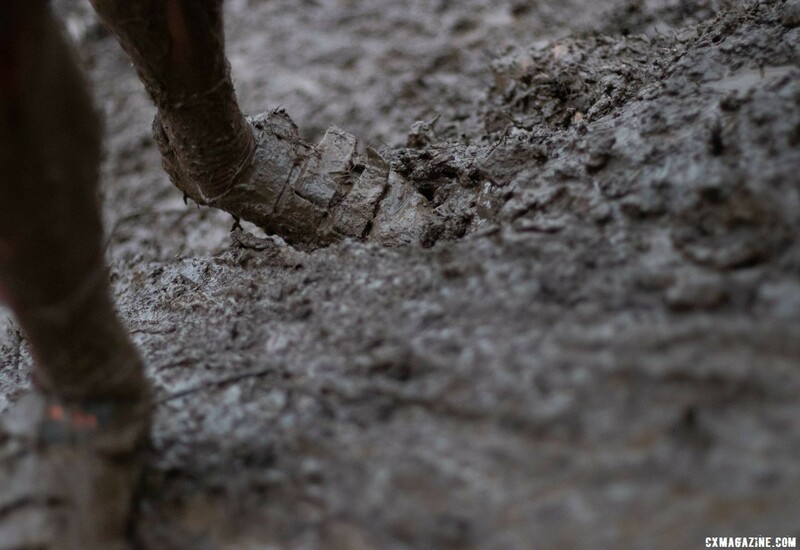 Given the two recent championships in Louisville, there could be mud. 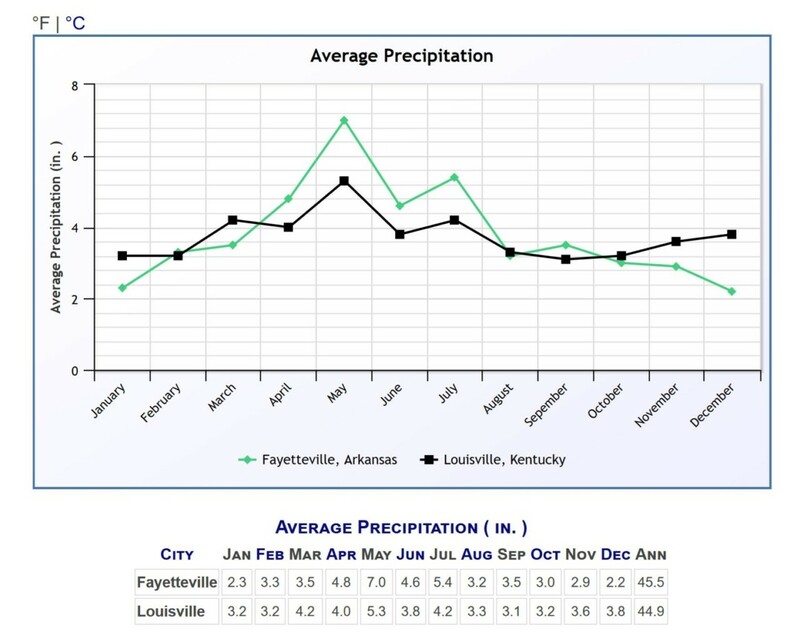 Annually Louisville and Fayetteville get similar amounts of precipitation, but it varies a bit by month. Surprisingly, both cities have identical annual snowfall, at 8.6 inches, according to Weatherbase. Snow could be possible, and only Mother Nature knows for sure. 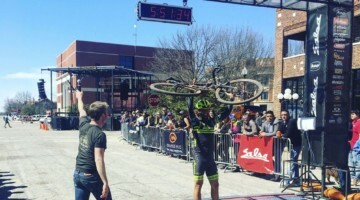 Cyclocross is not new to Fayetteville. 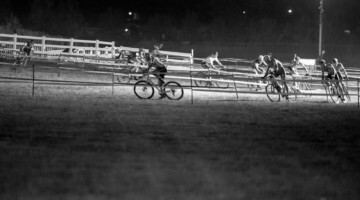 In addition to the OZ Cross race, the region boasts a weekly Wednesday night cyclocross practice, has hosted a Jake Wells cyclocross clinic, and had over a hundred racers in its regional series. 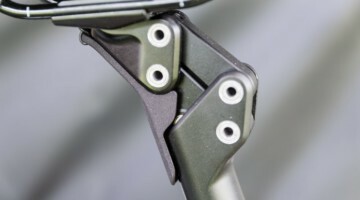 If the rumors are true, we’re sure the number of events and racers will only grow due to this shot in the arm. 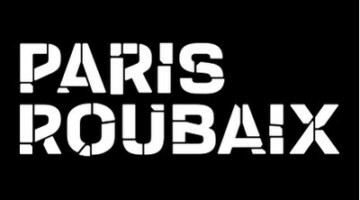 Soon, we’ll find out if he gets his wish in the form of the world’s best cyclocrossers.